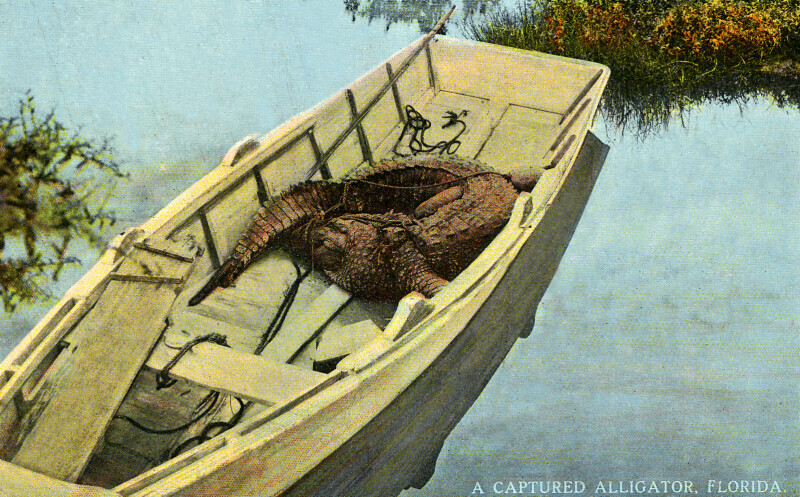 This scene shows a captured alligator, in a jon boat. To the left, partly under the alligator's tail, the push pole that is used to move and steer the boat can be seen. At the bow of the bow, a wood plank serves as a makeshift seat, to allow someone to sit facing the gunwales of the boat.